Handing off patients from one staff member to another gives staff a chance to assure continuity of service and help clients feel secure and clear about what is happening. There are many opportunities in a primary care clinic to assure a warm handoff between providers – whether it is a nurse introducing a patient to their doctor, a physician referring a patient to a mental health provider, or a medical assistant linking a patient with a billing clerk to help with insurance. A transition that goes smoothly can increase the patient’s feeling of security and being well taken care of. One the other hand, if not done well, the patient might feel as if they are being passed from one provider to another (aka “dumped”) without anyone really caring or taking responsibility. Clear, friendly transitions between clinic departments will result in greater patient satisfaction and better care. 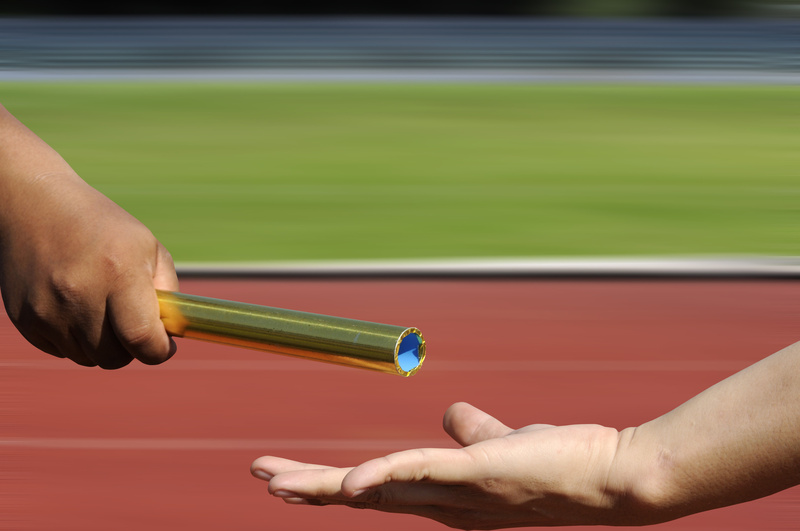 Warm handoffs depend in large part on good teamwork within the clinic. The patient-centered health home model, which emphasizes the inter-relation of all members of the team, supports positive transitions at all levels. Primary care and behavioral health providers who regularly engage, attend joint staff meetings or training sessions, and agree with systems that have been put into place to improve collaboration, are more likely to demonstrate smooth transitions. Support staff who know and work well with administrative staff are also more likely to be able to convey a sense of teamwork to their patients during a transition. This collaborative spirit will again give the patient a greater sense of satisfaction. Last but not least, what is the best way to say goodbye? As one writer says, “The close of a medical visit is much like the gymnast’s dismount. It influences the patient’s judgment of the physician and the health care he or she has provided” (ME Lutton, (2004, Sticking the landing, Family Practice Management). The provider summarizing the care plan and asking the patient if he or she has any additional questions are effective ways to wrap things up. A good ending to the visit will increase adherence to treatment as well as patient satisfaction.